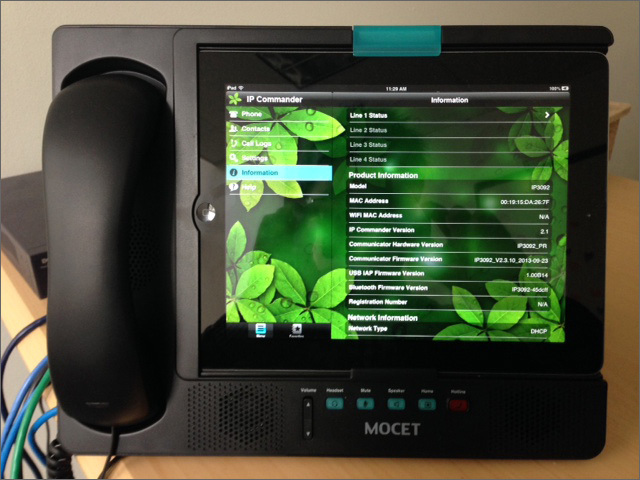 Similar in function to the NXV610 from Invoxia and the iFusion Smartstation from Altigen, the Mocet Communicator is an accessory that turns your iPad into a multi-line (4), feature-packed HD VoIP desk phone. It supports iPad versions 1, 2, and 3. Plug your Mocet Communicator into your LAN, and insert your iPad into the dock. You will be asked to download an app called IP Commander, which is the VoIP phone application that comes with the Mocet Communicator accessory. In the IP commander application, tap on the information tab in the left hand column on the main screen. 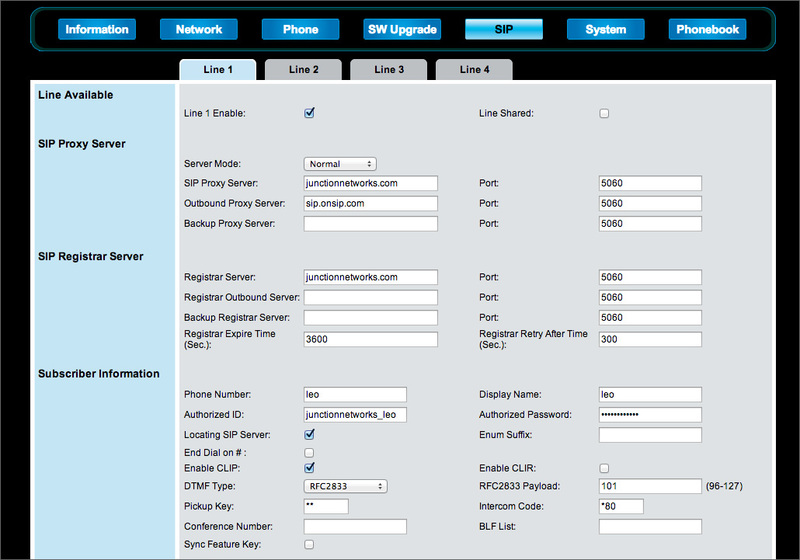 On the right side, scroll down to the Network Information section and note the IP address. Type this IP address into your web browser. You will be asked to provide a login and password to continue. The default login and password are admin and 1234, respectively. Next, click on the button labeled SIP in the top navigation bar. Repeat as necessary for up to 4 separate lines.